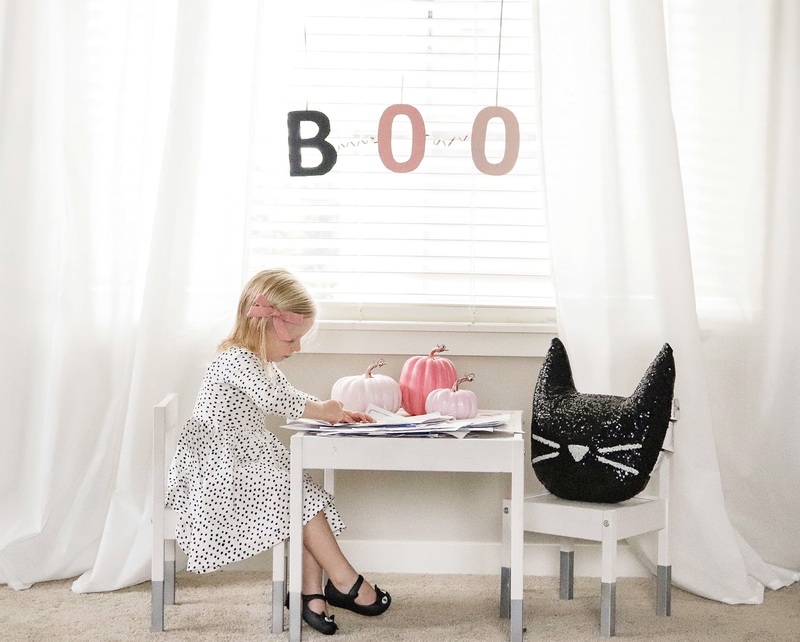 Today’s post is very quick because the idea is simple (which I love) yet classic and still beautiful for adding a little Halloween décor to any playroom or toddler space. 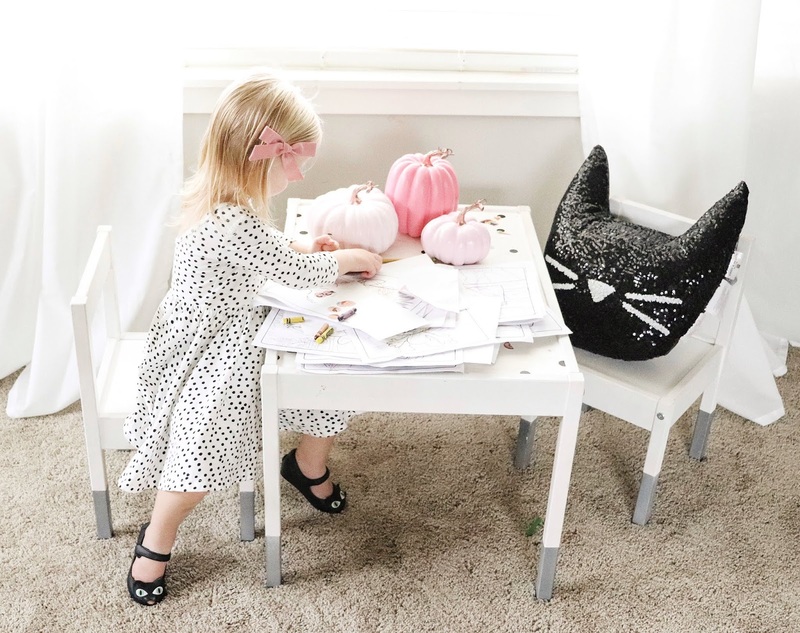 Abby has been in love with our blue and white pumpkin porch decor, which I shared about earlier on the blog here. 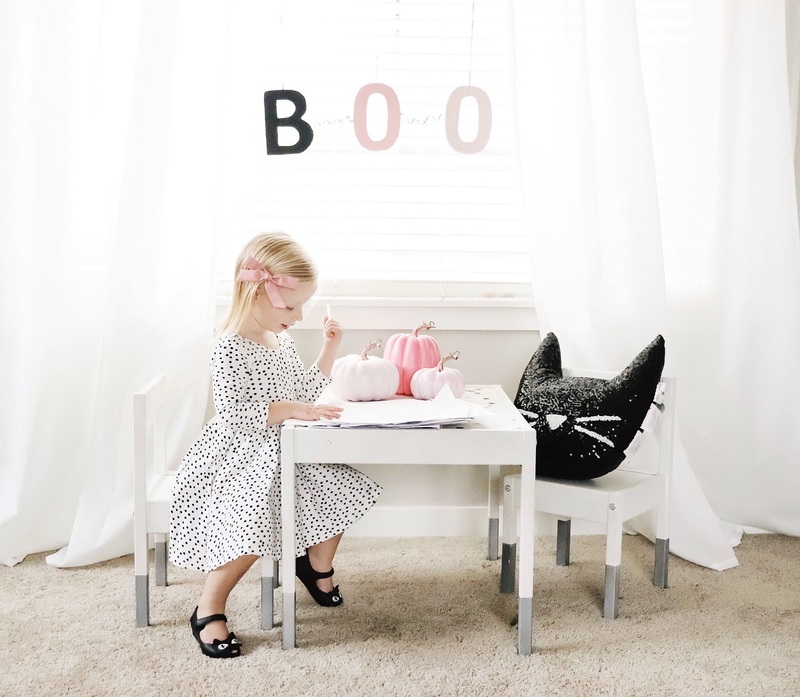 So I decided to give her own play space (inside where it’s warm) a little Halloween love by painting 3 faux pumpkins various shades of pink, a kitty cat pillow, and my own DIY multi colored “BOO” sign. 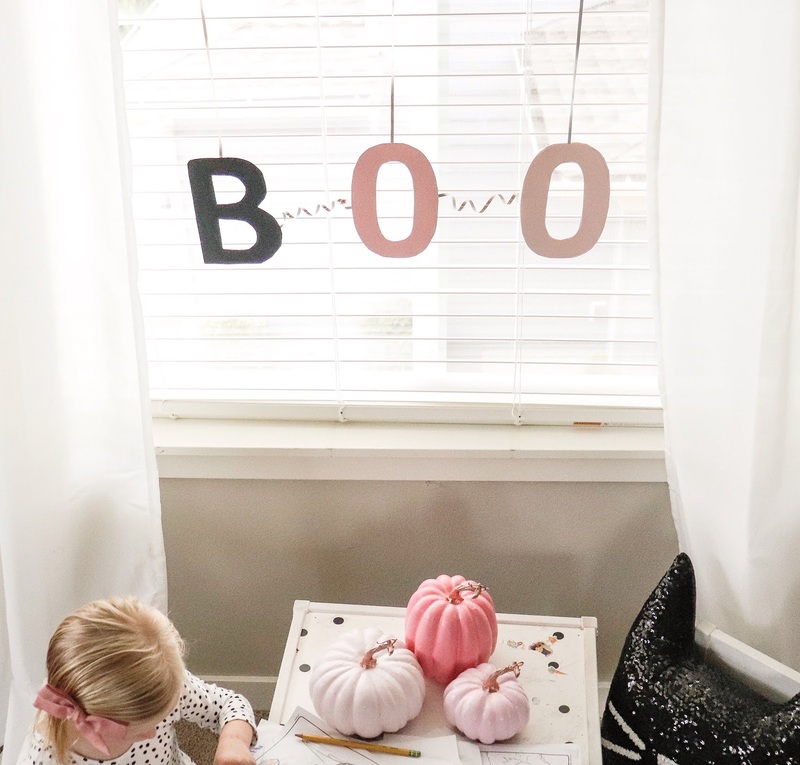 There's a ton of great ways to make a BOO garland however, for our space we have blinds, curtains, and freshly painted walls so I decide to make ours hang! Here’s what I did. 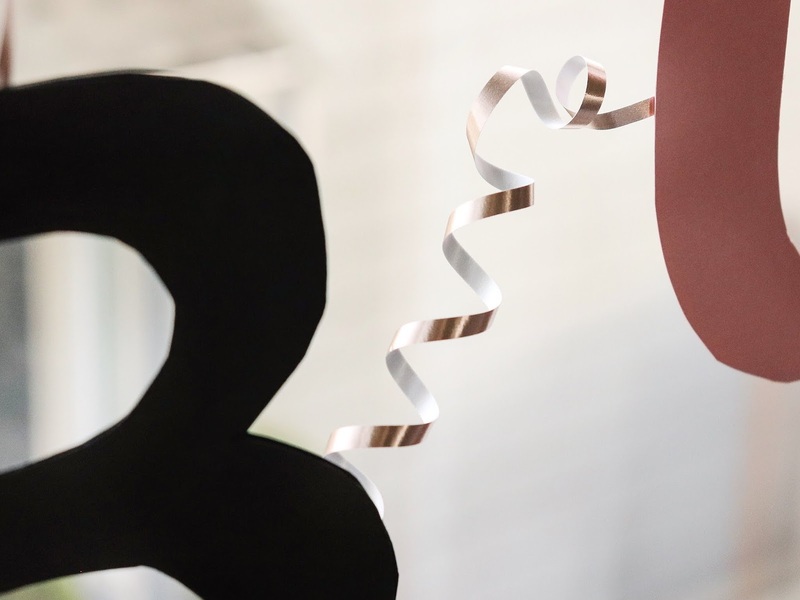 2) Using scissors, cut around the outside of your letters, if possible use an X-Acto knife for the inside of each letter to create a clean lines. 3) Using a pencil, trace your letters on cardstock paper. 4) Then repeat step #2 and erase any pencil markings. 5) Tape rose gold string to the top middle of each letter. 6) Then using double sided tape (or small rounds of tape) place them about every other inch all around your letter. 7) Add the letters twin on top and press firmly to seal them together. 8) Hang one letter at a time on curtain rod. 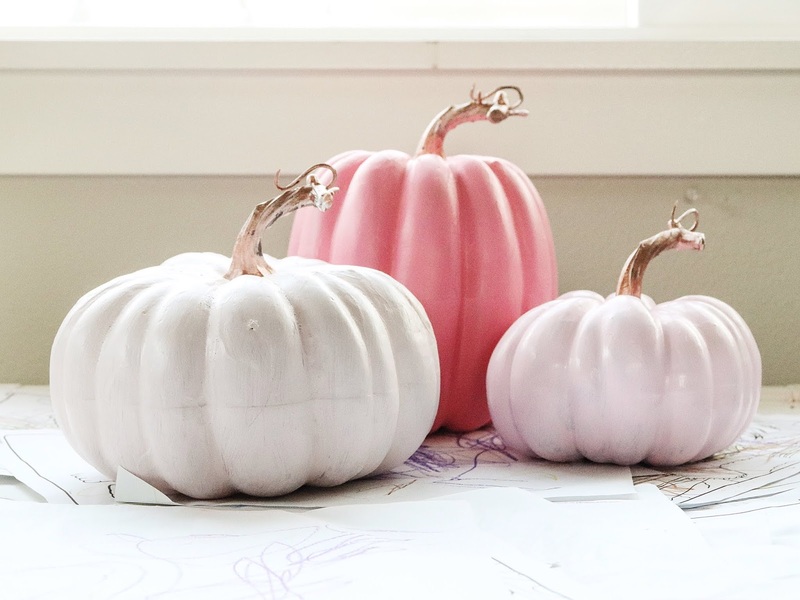 1) Using a size 1 (medium) foam brush,I painted each pumpkins 3 different shades of pink (3 coats). 3) Using a fine tip paint brush, I painted the stems rose gold (2 coats). 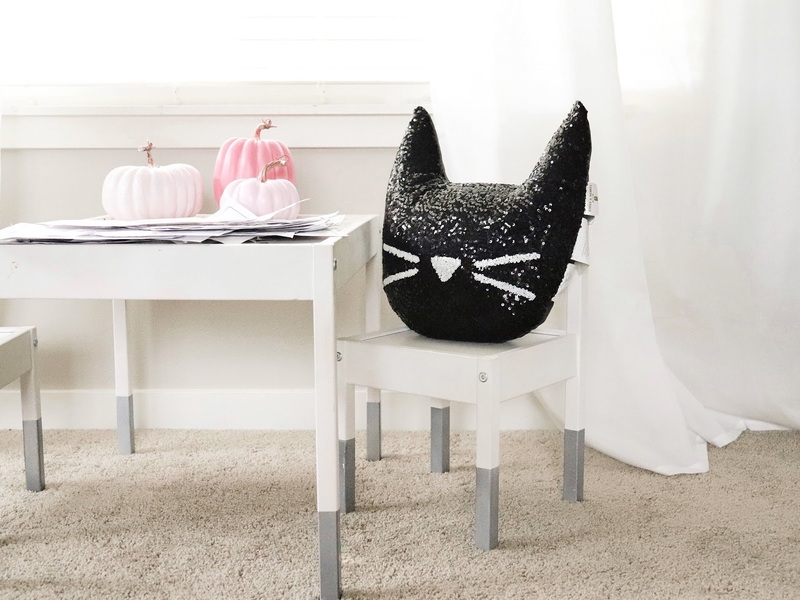 You can follow us on Pinterest for more fun ideas like this one and or, pin and save this idea for later!